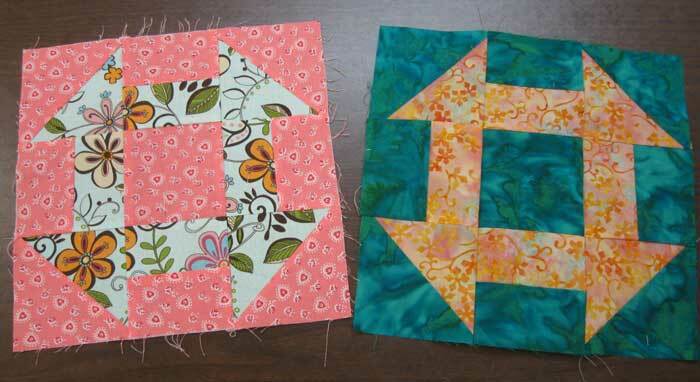 I'm really enjoying teaching a Beginning Quilting class! The second session of the 5-week class was very productive as my students completed their first quilt block for their Churn Dash quilts. Yay! Applause, applause. You can see the wonderful combinations of color, print and value in these quilt blocks.